(Lord) Robert 'Bob' William Lansdowne (formerly of Fyfield Manor, Benson, Oxfordshire) was born on 26 July 1943 in London. Joined the Eccentric Club in mid-1970s. Was known as an antique furniture dealer and Rolls-Royce enthusiast before 'leaving it all behind' to start the new life with Vandah Lansdowne, his soul mate and love of his life, in Cape Town, South Africa, where Bob went into the 'gentlemen's grooming accessories' business and moved into 'Mr Cobbs, the Barber', a traditional barber shop in the fashionable part of town - V&A Waterfront. Bob became known as 'Mr Cobbs of Cape Town' and became a local celebrity. He remained a passionate Rolls Royce admirer and joined a local Rolls Royce Enthusiasts' Club (RREC). He re-joined the Eccentric Club (membership No.126) in Autumn 2009, attended both dinners with the Club Patron HRH Duke of Edinburgh in London in 2010 and 2012. On Good Friday, 13th April 2012 Bob collapsed and went into a coma. He was hospitalised and went through a lengthy treatment with no certainty of success causing devastation to Vandah and their family. Robin Gibb of the Bee Gees was in a coma in that year too and had subsequently died, but Bob fought on and came on top of it and recovered in a truly miraculous way. On 6 January 2018 Bob collapsed again and died within minutes. 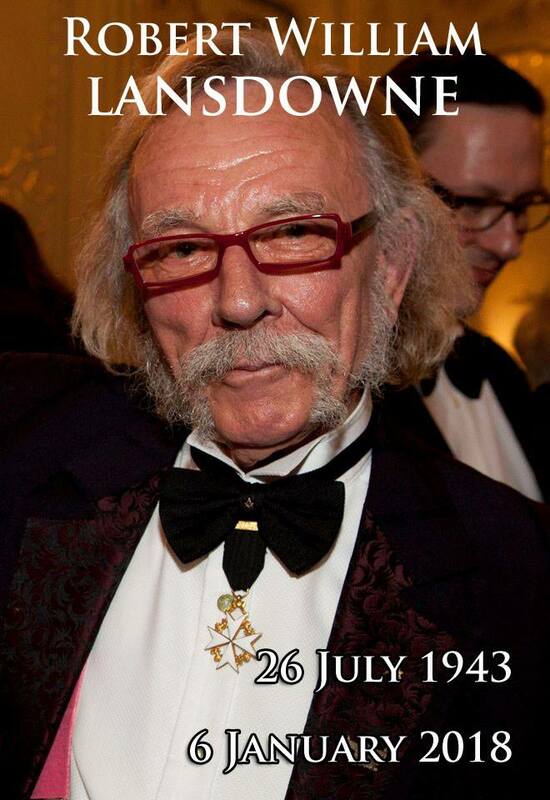 He is greatly missed by his family, colleagues and customers, members of the Eccentric Club, the RREC, the masonic lodges and orders he's been a member of. He will be cremated in a private/family ceremony following which a Memorial service will be held at The New Apostolic Church, District Six Congregation, Cape Town, at 11am on Saturday, 13th January 2018.